How to watch Resident Evil: Apocalypse (2004) on Netflix Australia! Sorry, Resident Evil: Apocalypse is not available on Australian Netflix, but you can unlock it right now in Australia and start watching! With a few simple steps you can change your Netflix region to a country like Japan and start watching Japanese Netflix, which includes Resident Evil: Apocalypse. We'll keep checking Netflix Australia for Resident Evil: Apocalypse, and this page will be updated with any changes. 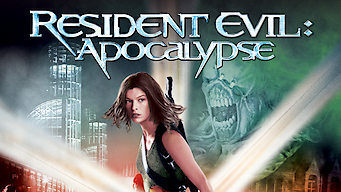 Resident Evil: Apocalypse is not available in Australia BUT it can be unlocked and viewed! With the help of her colleague Jill, the fearless Alice puts her life on the line to investigate a malevolent force that's lurking in Raccoon City. Killing is the only way to get the answers she needs. Luckily, slaughtering zombie hordes is what she does best. There is a way to watch Resident Evil: Apocalypse in Australia, even though it isn't currently available on Netflix locally. What you need is a system that lets you change your Netflix country. With a few simple steps you can be watching Resident Evil: Apocalypse and thousands of other titles!